There’s a new literary festival in town. For many years, Press 53 has operated its Gathering of Poets in Winston-Salem, NC, and has also occasionally held a Gathering of Writers. 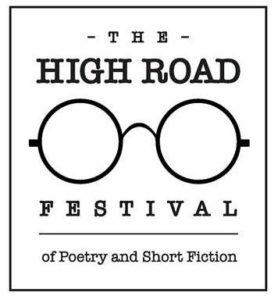 New this year, they’ve combined these events into a single, larger gathering, the High Road Festival of Poetry and Short Fiction. Registration is now open for the Festival, which will be held on Saturday, March 23, 2019 (with optional activities on Friday night and Sunday morning). I will be leading a fiction seminar on self-editing called “From Rough Draft to Final Draft: The Best You Can Make It.” Other fiction seminar leaders include Wendy J. Fox, Marjorie Hudson, Jen Julian, Joseph Mills, and there will be Master Classes with David Jauss and Clint McCown. Poetry seminar leaders include Carlson Wee, M. Scott Douglass, Rebecca Foust, Laura Hope-Gill, Tom Lombardo, Ed Madden, Valerie Nieman, Stacy Nigliazzo, Grace Ocasio, and Jim Peterson, plus Master Classes with Cathy Smith Bowers and Keith Flynn. There will also be readings, one-on-one critique sessions, and a vendor area. All in all, it looks like a great festival. Winston-Salem is a nice small city with a vibrant arts scene, great bars and restaurants, and a wonderful bookstore (Bookmarks) where the Friday night reading will take place. Join us for this terrific new event!